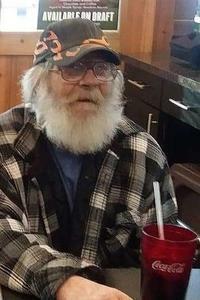 William Harvey Veen "Bill" of Muskegon, Michigan passed away on Friday, February 01, 2019 at the age of 65, in his home. William was born to parents Clarence and Lillie Veen on September 03, 1953 in Grand Rapids, Michigan. He was one of six brothers. On September 12,1998 he married Sheila George. William worked at Eagle Alloy in Muskegon, Michigan until his retirement. He also loved working in his garage where he spent time building things. Bill is survived by his wife Sheila; three step daughters Melissa (Thompson) DeWolfe, Theresa (Thompson) Monroe, Tammie Thompson; Ten grandchildren and six great grandchildren, all that he loved dearly; Three brothers Claire, James, and Rick. He is preceded in death by both his father and mother, two brothers Jack and John, and his son Adam Sines. A celebration of life will be held on February 08, 2019 at 1:00 p.m. at First Wesleyan Church in Community Center located at 1040 E. Forest St. Muskegon, MI. 49442.